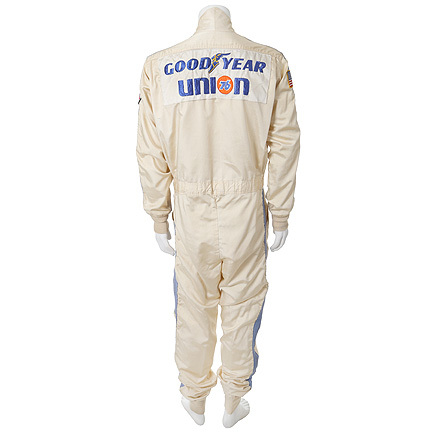 This jumpsuit was worn by the character “Brewster Baker” portrayed by actor Kenny Rogers in the 1982 film, “Six Pack. 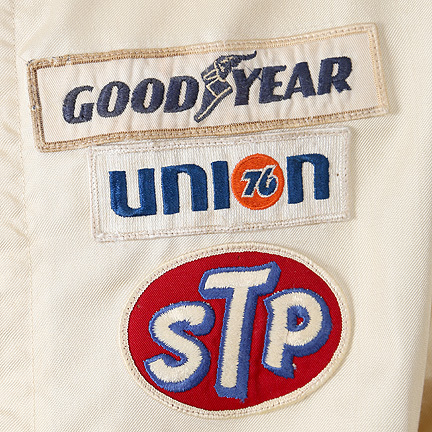 The uniform featured many race sponsor patches that were removed due to use in subsequent productions. 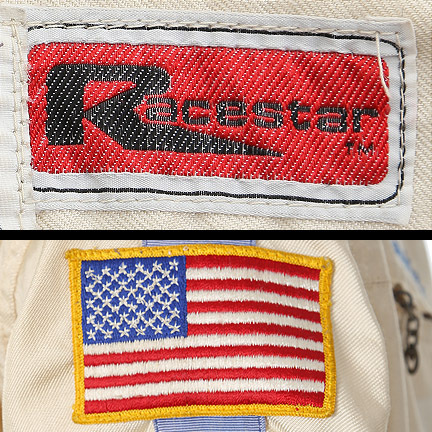 Five original patches were found in the costume house’s patch and insignia inventory and have been restored onto the garment. 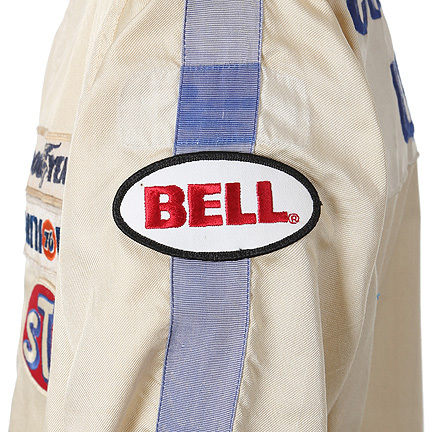 With the exception of the “BELL” patch, which is not originally from the film and differs in size slightly. 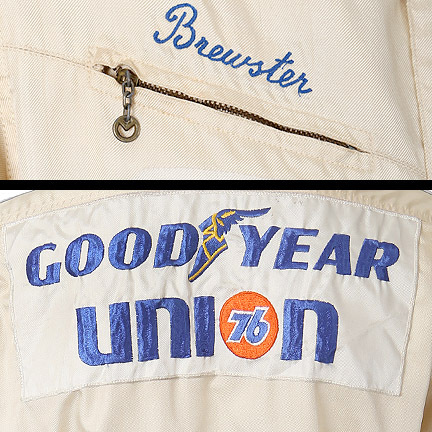 The character’s name “Brewster” is embroidered above the right breast pocket, and the “Racestar” label is sewn onto the inside collar. 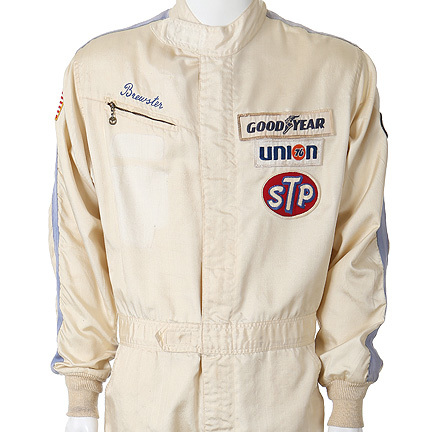 Mr. Rogers can be seen wearing this jumpsuit while competing in car races throughout the film. 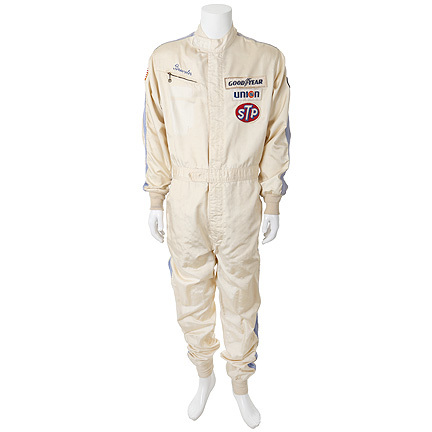 The costume is initially seen in the “Dixie 100” race, the first race with the help of the “Six Pack” of orphaned children. Brewster’s car finishes in fourth place, showing an impressive gain and exciting the children, but Brewster isn’t satisfied. 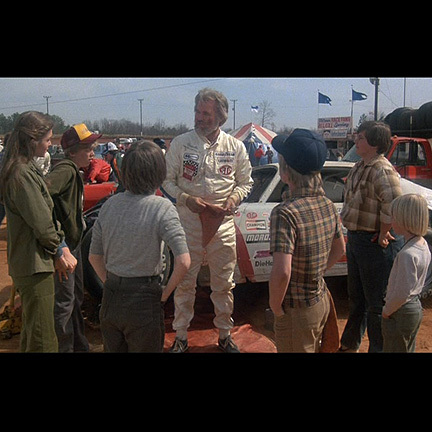 Instead of everyone going their separate ways, the orphans return to Brewster insisting that they help him continue his racing career. He reluctantly agrees that they become his pit crew under the condition that they stop stealing other people’s car parts. 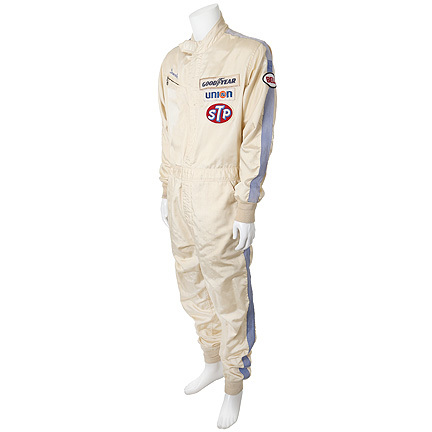 The jumpsuit continues to be seen throughout the film as he works on his racecar within the track and competes, before making it into the Grand National Race in Atlanta and changing his car and uniform. “Six Pack” is a 1982 American comedy-drama starring Kenny Rogers, as well as a young Diane Lane and Anthony Michael Hall. 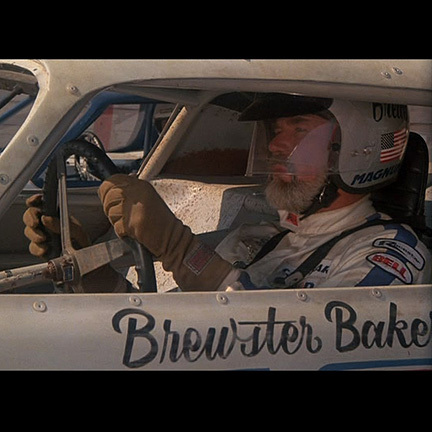 The film tells the story of Brewster Baker, a racecar driver who has his car parts stolen and discovers the culprits to be a group of six orphaned children working for a corrupt sheriff. After Brewster unwillingly becomes their stepfather figure, he uses their mechanical knowledge to help win racing events and eventually their bond strengthens into a real family. 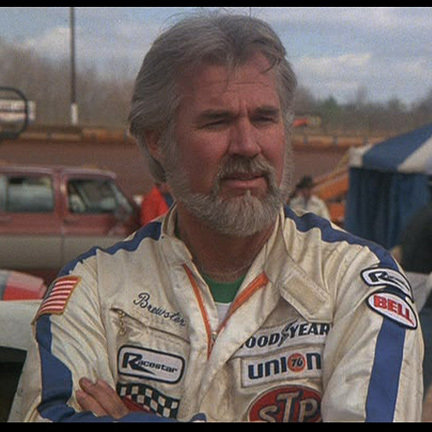 This was Kenny Rogers’ first leading role in a feature film, and also included his song “Love Will Turn You Around”, which became number one on the country music and adult contemporary charts due to exposure from this film. 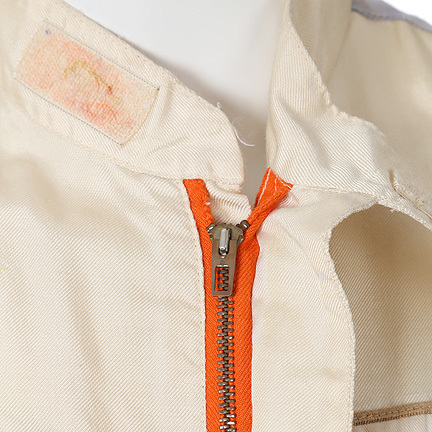 This item is in good screen worn condition and is accompanied by a letter of authenticity.